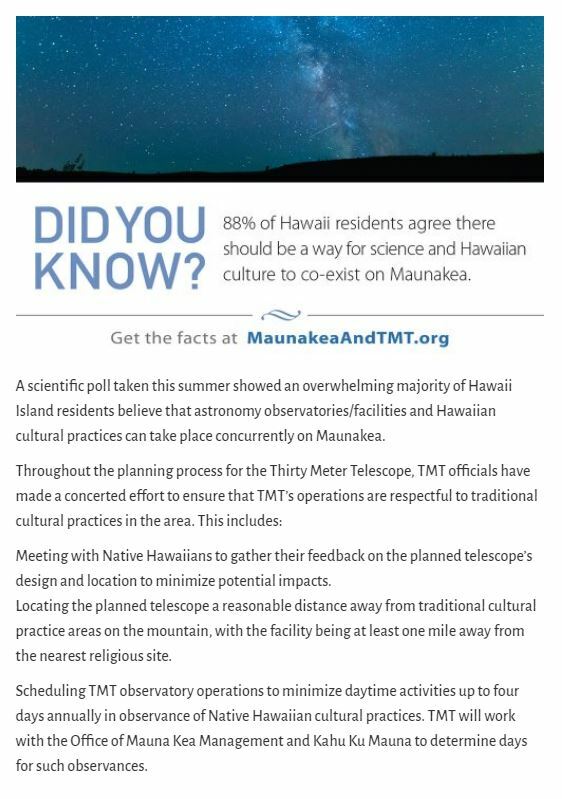 TMT is committed to a new paradigm of development on Maunakea founded on integrating culture, science, sustainability and education. 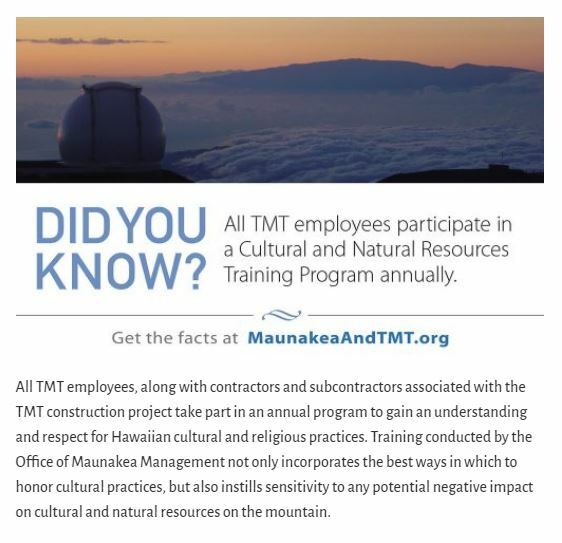 The TMT project understands the importance of archaeological and cultural sites found on Maunakea and takes their protection very seriously. 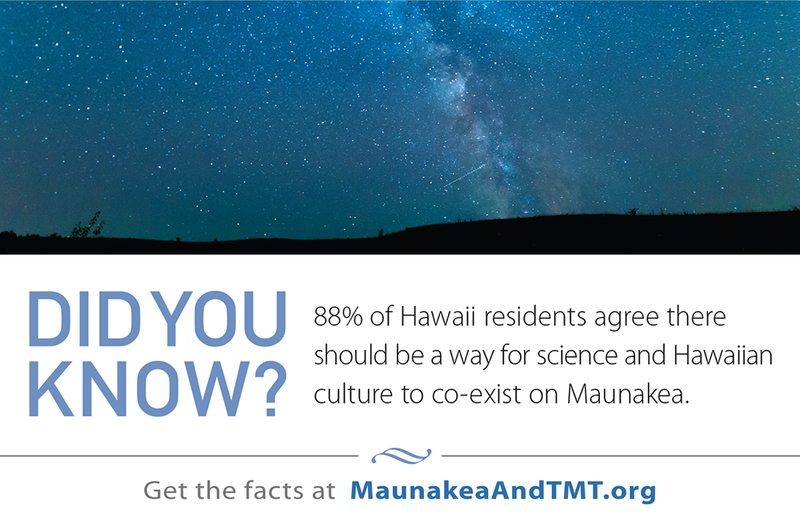 From the very beginning, TMT and its planners have focused on the protection and preservation of Maunakea culture and landscape. 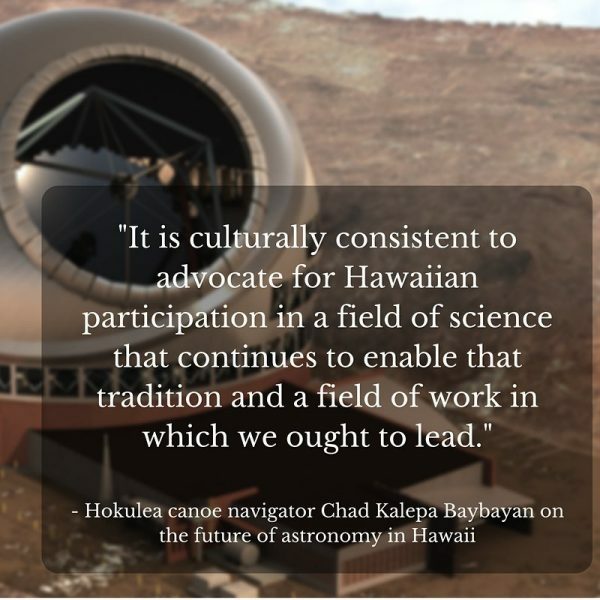 Part of ceded land held in trust by the State of Hawaii, the the Mauna Kea Science Reserve is conservation land with an area dedicated to astronomies. 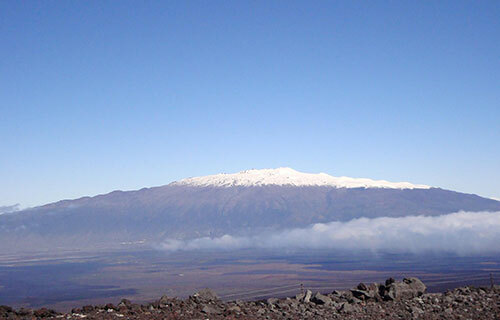 In the 2000 Maunakea Science Reserve Master Plan, the northern plateau in Area E was identified as the area chosen for the next observatory location because of its lack of archeological, cultural or biological impact. 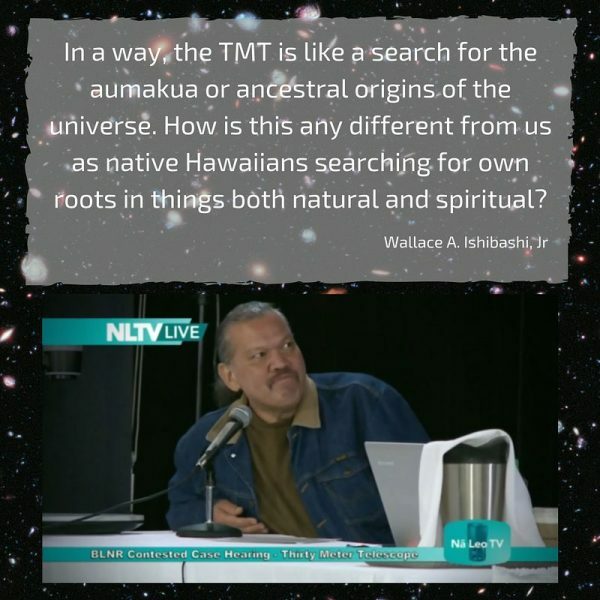 The plan also noted the concerns from Native Hawaiians that no more development on the summit of Maunakea and its pu‘u should be considered and that these cultural areas need to be protected. 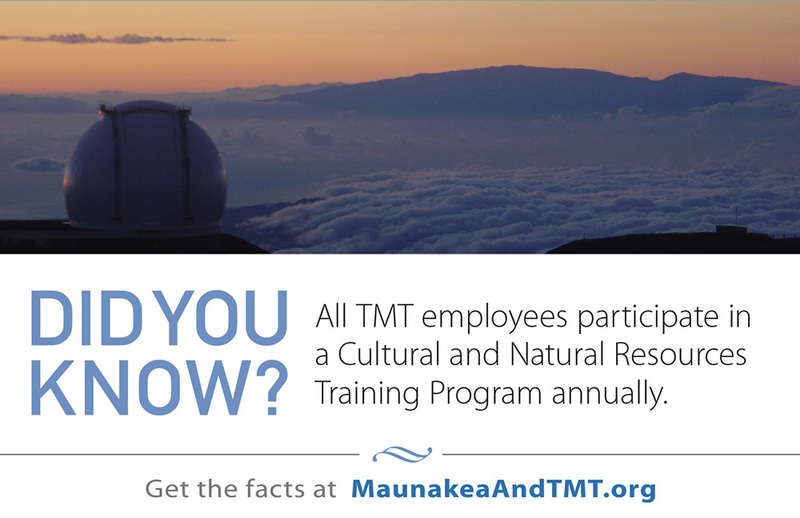 Located on a lava plain below the summit, TMT will not be visible from culturally sensitive locations, such as the summit of Kukahauula, Lake Waiau, and Puu Lilinoe. 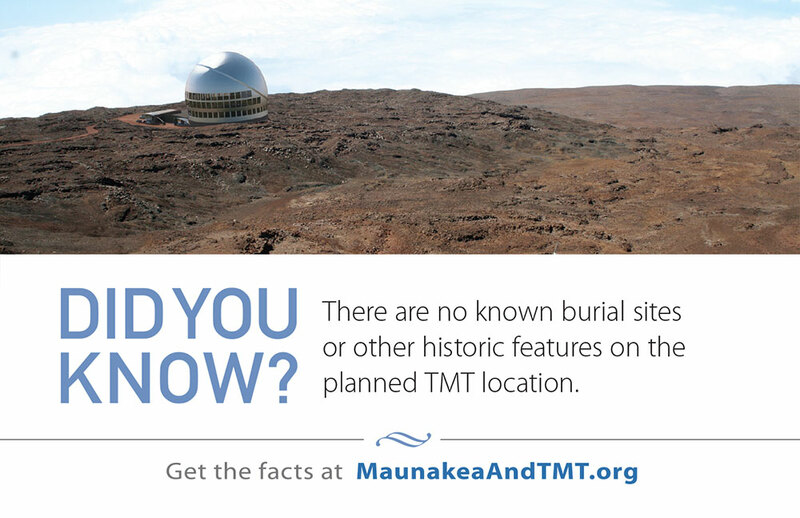 It will be only visible from 14% of the island. 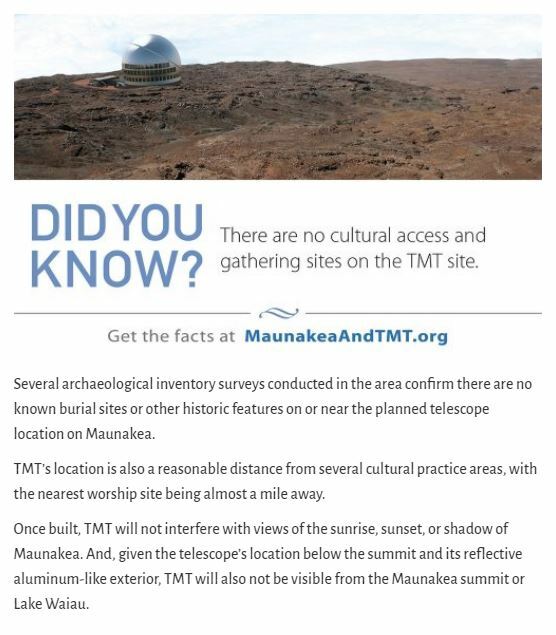 Out of respect for Hawaiian culture and for the protection of Maunakea’s natural resources, we have taken great care to select a site that has no endangered flora or fauna and no known archaeological shrines or burial sites. acres of state-owned land on the mountain. 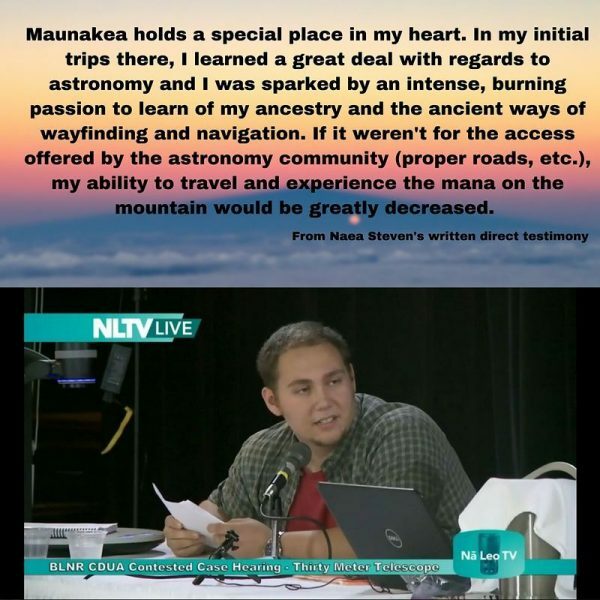 During his testimony supporting the Thirty Meter Telescope, the Hawaii Island resident gave his reasons for determining that the astronomy facilities on Maunakea benefit the cultural practitioners from a logistical sense.